Pre-foreclosure is the initial phase of foreclosure. The property still belongs to the owner but the financial lender has already begun the initial process after the owner fails to make mortgage payments for several month. For many property owners this is a stressful time. “How to save my home from foreclosure?” is a key question that many people would like to have answered. If you find yourself in the unfortunate predicament of facing foreclosure then know there is hope. The solution is one easy step. Contact Us! Let us show you a fair price for your property. Sometimes finding a buyer to purchase a property may prove to be a great solution for a pre-foreclosed property owner. It can allow the seller to get out from the mortgage and hopefully put some cash in their pocket so they can start fresh. If a property makes it to foreclosure, the only thing the owner will get is bad credit. Simple Acquisitions is a real estate investing company that buys multi-family and single family rental properties. We work with motivated sellers to come up with a solution that is win-win for both parties. Do you need to sell your property in “as in” condition? Is your property non-performing and has less than desirable occupancy? 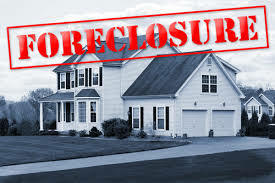 Did you inherit a troublesome property that is facing foreclosure? Do you want an answer to “how to save my home from foreclosure”? If you answered yes to any of these questions then we can help. If you have a pre-foreclosure property you’ve got nothing to lose but your property if you don’t contact us. There is no obligation to sell nor any pressure from us to buy. All you need to do is provide your contact information below. Your information will remain completely confidential and will not be shared. Find our what your pre-foreclosure rental property is worth. Contact us for a no charge property appraisal. Find out a fair price for your property today.